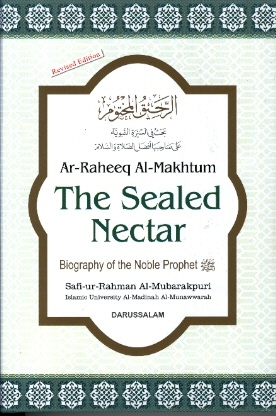 The Sealed Nectar, which is essentially the detailed Seerah of the Prophet Muhammad SAWS, is currently on my reading list. I’ve been wading through it slowly, as it is very rich in detail, dates, chronology, and names. It is brilliantly woven together in a way that allows the reader to picture the Prophet SAWS’s life, and journey with him through his experiences. There have been parts in the book that are extremely emotional and moving, I’ve closed the book and shed my tears before resuming reading. If you want to know the prophet, journey with him, experience his difficulty in bringing to us Deen-ul-Islam, read this book. You will connect with islamic history in a way you never thought possible. A complete authoritative book on the life of Prophet Muhammad (SAWS) by Sheikh Safi-ur-Rahman al-Mubarkpuri. It was honored by the World Muslim League as first prize winner book. Whoever wants to know the whole life style of the Prophet in detail must read this book.